Join the swing of events to celebrate the New Year’s Eve and have a wonderful beginning of the year! Getting excited about the New Year 2018? In case you are wondering about where and how to celebrate New Year’s Eve, we’ve selected the best spots only. Join the waves of Koreans who come out to celebrate the New Year and have fun on December 31 and January 1 in the way Koreans do! Take a look at what you can do in different places to welcome 2018 with your loved ones. 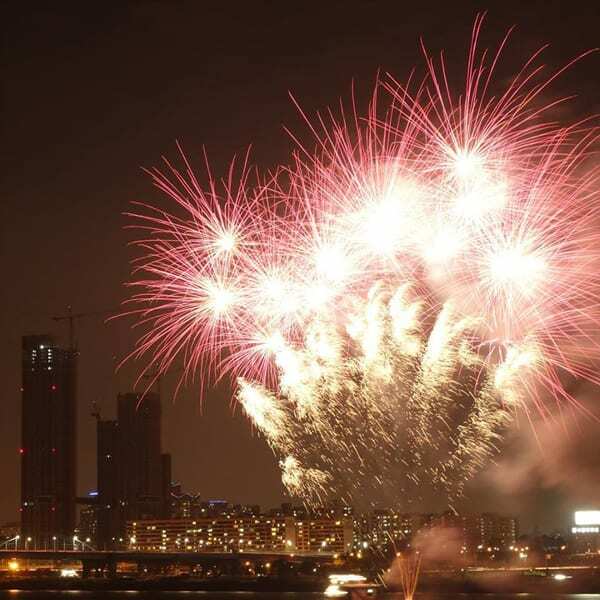 Coex has always held magnificent fireworks show annually, and many people are expecting another spectacular New Year’s Celebrations fireworks show leading on from last years’ when fireworks ignited into many different colors. This is your chance to spend New Year’s Eve and New Years in Korea, expect another marvelous fireworks show watching at Coex, but not just that, this time, you also get to watch the first sunrise of 2019 in Gyeongpodae, one of the most beautiful sunrise spots in South Korea! Hear the ring of Bosingak Bell, a traditional way to greet the New Year. In Korea, the tradition of ringing the landmark bell marks the end of a year and simultaneously the beginning of a new one. The Bosingak Bell, located near Jonggak Station (Line 1), is the landmark bell of Seoul. Every year, 16 people including the mayor of Seoul ring the bell 33 times at midnight between December 31 and January 1. This has become one of the most popular traditions in Korea since Joseon Dynasty where the bell was rung every day to inform the start and end of the day. Nowadays, hundreds of thousands of Koreans head down to Bosingak Bell Pavilion on December 31 to bid farewell to the end of the year and welcome the start of a new one. Join the Final Countdown Party, a hipster Seoulite’s way to celebrate the New Year. Something that looks incompatible with another always coexists in this traditional but also modern metropolitan city of Seoul. On the one hand, people spend their year-end in a very traditional way at the Bosingak Pavillion, but on the other hand, there are people spending the same night full of hip-hop and EDM at the Final Countdown Party. The overnight indoor music festival this year boasts a glamorous lineup including Martin Jensen, VINI VICI, Crankdat, and many more. Themed as “Walking On Paradise”, the Final Countdown 2017 Party will surely make your year-end paradisaical. To get more details about this year-end hip-hop & EDM party, click below. Another very popular way to greet the New Year in Korea is to watch the first sunrise of the year and make a wish. Located in the far eastern corner of the Korean peninsula, Busan is one of the most popular locations for this because you can catch the sunrise earlier than the rest of the country. There are many locations that you can choose from to watch the sunrise and here are our recommendations. 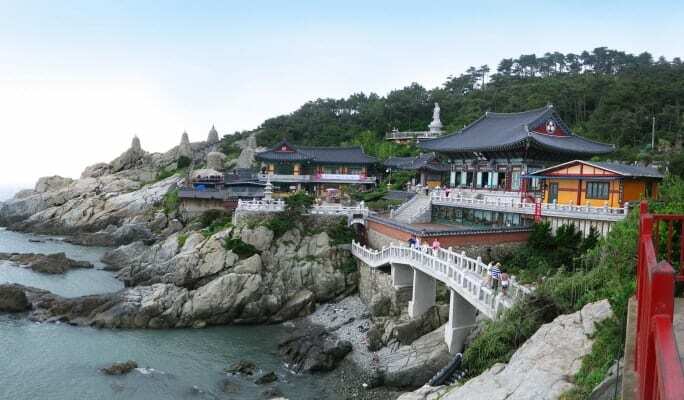 Haedong Yonggungsa Temple, a famous temple built on the rocks with a scenic ocean view. Built in 1376, Haedong Yonggungsa Temple is a Korean Buddhist temple nationally renowned for its breathtaking ocean view. Located in the north-east of Busan by the rocky seashore, the temple presents a picturesque scenery whether you look out to the sea from the temple or to the temple from the other side. Taejongdae Park, a recreational area on the cliffs of Busan’s coastline. On the New Year’s Day morning, Taejongdae Park bustles with people who make wishes to the rising sun. With refreshingly chilly ocean breezes, you can catch beautiful views of the sea and cliffs. Also, on clear days, you will be able to spot Tsushima Island, Japan. Walking along the road blanketed by pine trees, you’ll reach the rocky cliffs and encounter a panoramic view of the ocean. There, you can find an observatory, a lighthouse, a snack bar, and a cafe to enjoy with the scenic ocean view. To explore the beauty of Busan in an easy and convenient way, see below. Jeju Island is recognized globally for its strikingly beautiful scenery. Coupled with the majestic sunrise of the New Year, it would be a shame if you never get the chance to witness it. Seongsan Ilchulbong, a tuff cone pushing the sun back up in the sky. Thousands of visitors flock to Seongsan Ilchulbong also known as Seongsan Sunrise Peak on the New Year’s Day to catch the first sunrise of the year. As the name suggests, the peak offers a fantastic view of both the sunrise and the surrounding area of Jeju. The peak is 182 meters high with a huge crater in the middle. The tip of the peak is surrounded by 99 sharp rocks, making the peak resemble the shape of a crown. You can explore around Seongsan Ilchulbong peak in many different ways, by car, bike, boat and even by horse riding. See below to find various ways to tour around Seongsan Ilchulbong. Jeongdongjin Beach, a romantic beach in front of a vintage train station. If Koreans want to catch the first sunrise of the year after hearing the ringing of Bosingak Bell in Seoul, many of them head right away to Jeongdongjin Beach in the east coast of Korea for an overnight trip. Watching the sun rising above the sea line, they pray for things they hope in the coming year such as good health, prosperous business, and great academic results. After the sun lightens up the eastern sky, you can visit the historical Naksansa Temple and the beautiful coastal cities of Gangneung and Sokcho. If you’d like to join this annual Korean ritual of Jeongdongjin overnight trip, see below. 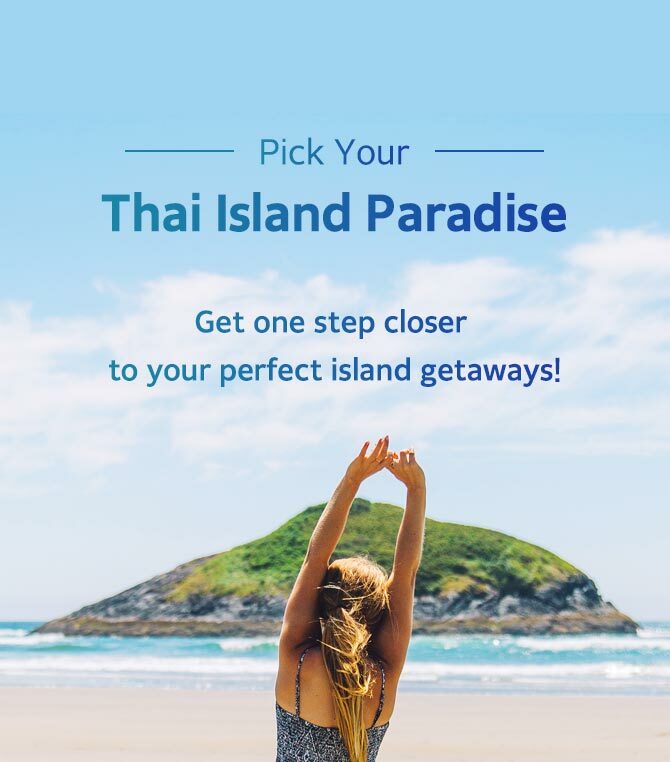 The New Year is drawing close and it’s time to start making plans! Join one of these New Year celebrations and greet the New Year in the Korean way during your stay in Korea. It will be a memorable beginning of the year 2018! To find out more about Korea’s winter wonders and New Year’s events, visit Trazy.com, Korea’s #1 Travel Shop. Hi. I am Wendy from Singapore. I am planning to visit Jeju for New Year Eve 2017 fireworks. Planning to come from 26th December 2017 to 02nd January 2018. Beside fireworks any other celebration during my choosen date the above? Is there any fireworks 2017 celebration on New Year Eve 2017? Fireworks nice and celebration is big? I understand that i can view Sunrise at Jeongdongjin on when? How far from Jeju Island to Jeongdongjin? Can i go by train or bus and distance how long? Hello Wendy! Yes, there will be Seongsan Sunrise Festival, which will take place around the area of Seongsan Ilchulbong (www.trazy.com/spot/643) from Dec 30, 2017 until Jan 1, 2018. Other year-end festivals and events in Jeju Island have not been announced yet. The Seongsan Sunrise Festival is by far the biggest major festival in Jeju where visitors can take part in the countdown and enjoy firework show at midnight. After watching the fireworks, you can can climb up Seongsan Ilchulbong around 5:30am to watch the sunrise. If you want to celebrate the New Year’s Eve, Jeongdongjin is another great destination to visit and watch the sunrise. Our tour to the Jeongdongjin Sunrise Festival will soon be available at Trazy.com so if you want to visit the festival, please check in our website regularly via this link: http://www.trazy.com/experience/detail/477. Since there is no direct train or bus system that connects Jeju Island and Jeongdongjin, you will have to take a flight from Jeju Int’l Airport to Yangyang Int’l Airport or Wonju Int’l Aiport and then take an express or local bus to the venue of the sunrise festival. Hope this information helps! Hi. I am Rebecca from Singapore. Hello Rebecca! Yes, there will be Seongsan Sunrise Festival, which will take place around the area of Seongsan Ilchulbong (www.trazy.com/spot/643) from Dec 30, 2017 until Jan 1, 2018. Other year-end festivals and events in Jeju Island have not been announced yet. The Seongsan Sunrise Festival is by far the biggest major festival in Jeju where visitors can take part in the countdown and enjoy firework show at midnight. After watching the fireworks, you can can climb up Seongsan Ilchulbong around 5:30am to watch the sunrise. If you want to celebrate the New Year’s Eve, Jeongdongjin is another great destination to visit and watch the sunrise. Our tour to the Jeongdongjin Sunrise Festival will soon be available at Trazy.com so if you want to visit the festival, please check in our website regularly via this link: http://www.trazy.com/experience/detail/477. Since there is no direct train or bus system that connects Jeju Island and Jeongdongjin, you will have to take a flight from Jeju Int’l Airport to Yangyang Int’l Airport or Wonju Int’l Aiport and then take an express or local bus to the venue of the sunrise festival. Hope this information helps! Hi I’m Gold from the Philippines. My friends and I are going to Seoul on Dec 31 and will arrive Incheon Airport at 10:30pm. Are there any spots where we can celebrate New Year count down in the area? We’re looking for a place to celebrate NYE before heading to our airbnb in Seoul.